Denise Mathisen with Miller O'Reilly (standing) addresses the Board of Aldermen. New Haven, Mo. - Monday night rental property owners along with fellow citizens attended the public hearing regarding the development of a 40-unit apartment complex that would utilize Low Income Housing Tax Credits from Missouri’s Housing and Development Commission. Stephen Miller, at left, and Harold Ray, right are sworn in by City Clerk, Kathleen Trentmann at last night's monthly Aldermen meeting. New Haven, Mo – Last night, at the regularly scheduled monthly New Haven Board of Aldermen meeting, newly elected Stephen Miller and incumbent Harold Ray were sworn in by City Clerk, Kathleen Trentmann. New Haven’s Elected Officials voted unanimously at last night’s City Council meeting to place a city ordinance on April’s ballot that would impose a sales tax of one-quarter of one percent for funding of local parks. The proposed ordinance also includes a five-cent decrease in the property tax levy for taxpayers. Pictured above is what has been completed as of Oct. 11. News Coverage and Story by Brittany Menke-Technical Writer. The Planning and Zoning Commission meeting was held tonight at city hall. The commission elected Jason Addison as Chairman, David Burke as Vice-Chairman, and Ben Vedder as Secretary. The commission approved the request to use part of 115 Front Street, a building in the commercial district of New Haven, for residential purposes. The New Haven Board of Aldermen met at a regularly scheduled meeting on Monday, August 8, 2011. The board reviewed, discussed, and approved various items throughout the meeting. 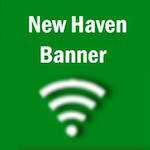 Nathan Parmentier was appointed to the New Haven Park Board, replacing Jana Monzyk following her resignation because she no longer lives within the city limits of New Haven.